Wednesday, January 24th, 1-4:30 p.m. (startup & small companies). 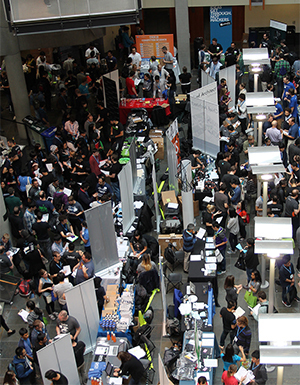 This fair will be held in the Paul G. Allen Center for Computer Science & Engineering. Thursday, January 25th, 1-4:30 p.m. (established companies). This fair will be held in the HUB Ballroom.